Home » Forum » Contractors Talk Forums » General Discussion » Why Everyone Want Be A Finish Carpenter? Why Everyone Want Be A Finish Carpenter? Re: Why Everyone Want Be A Finish Carpenter? It is almost impossible to have a structure that the trim carpenters don't have to fudge. That's why high end home builders have there own crew to do the standing and running. It constraints the labor and change orders. I work for some pretty high end builders, and none of them do any of the trim or finish in house. Every builder have his own style. Lacy homes hold only finish carpenters and sub framing (it is big builder, they have like 50M in revenues per year i think). Choice wood do framing and trim, Yerigan do framing, trim and concrete. I found right way for me is framing&trim as can control entire process. And do not like cabinet making as is time consuming for me. 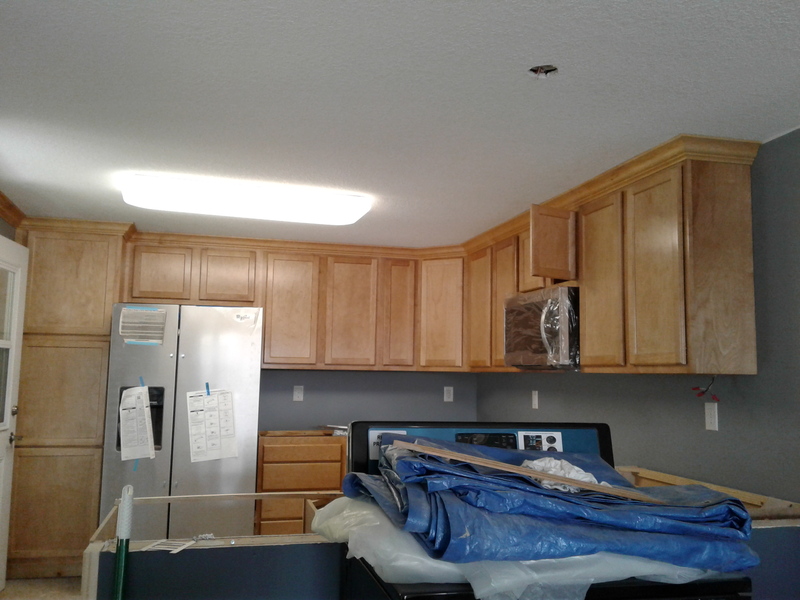 Kitchen in picture I installed past week. It is at that same big project where I level walls etc. In march talked with customer and he said want crown to ceiling. So I level that area best that I can and get care that floor to ceiling is 95". No way that if I would leave it to some CL framers they would care to do that perfect for me. Some money loaded home builders can have control of it but I can not hang above framers. Well written post Tipitop. You should do that more often. Oh is that the house you got all the awards for?? Wow very nice... now what makes a carpenter ??? Last edited by Stilla; 11-04-2017 at 04:46 PM.